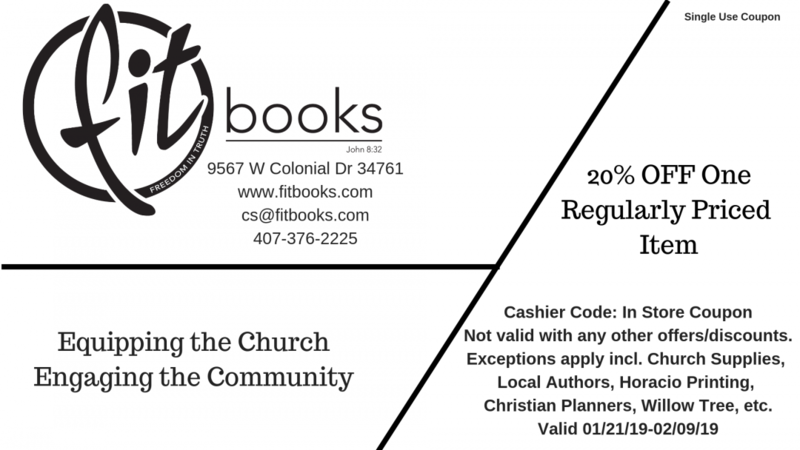 February Sale and Updates from FIT Books! This is our first comprehensive update in a couple months. 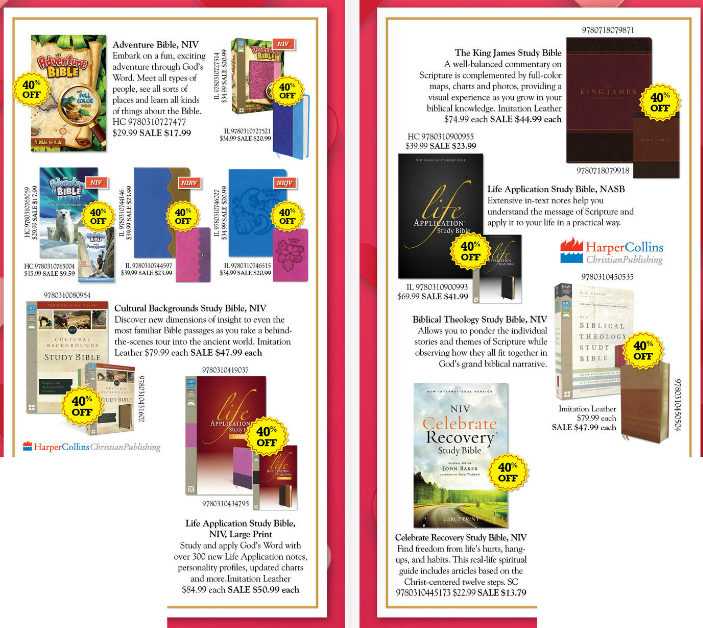 It is not just a sales ad, it is to update you on our ministry at FIT Books! This Newsletter/Update is jam packed with information regarding our ministry, in-store events, global Kingdom work, new releases, finance and location updates, and sales info. Read it and then pass it along to someone you think might be interested. Brand New Monthly Bargain Blow Out! Click Here! It's the month we celebrate LOVE! Let us learn to LOVE ONE ANOTHER! 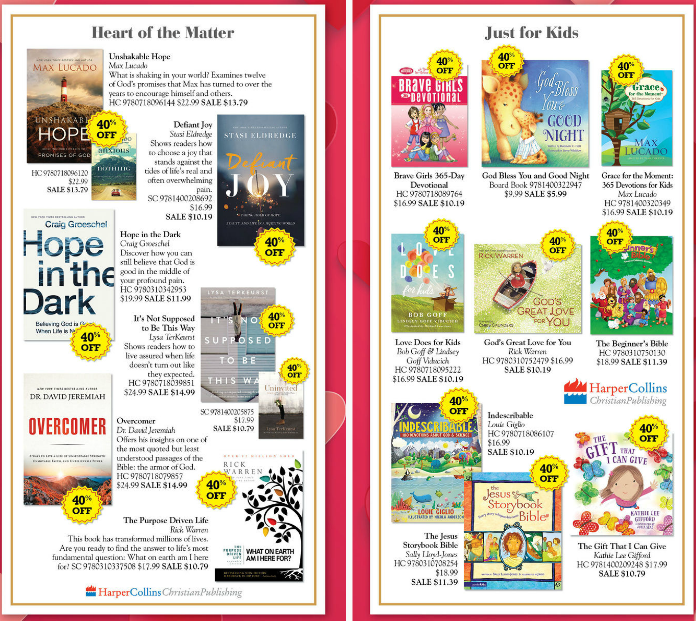 Click here, or on the image below for the February Sales FLIP CATALOG! 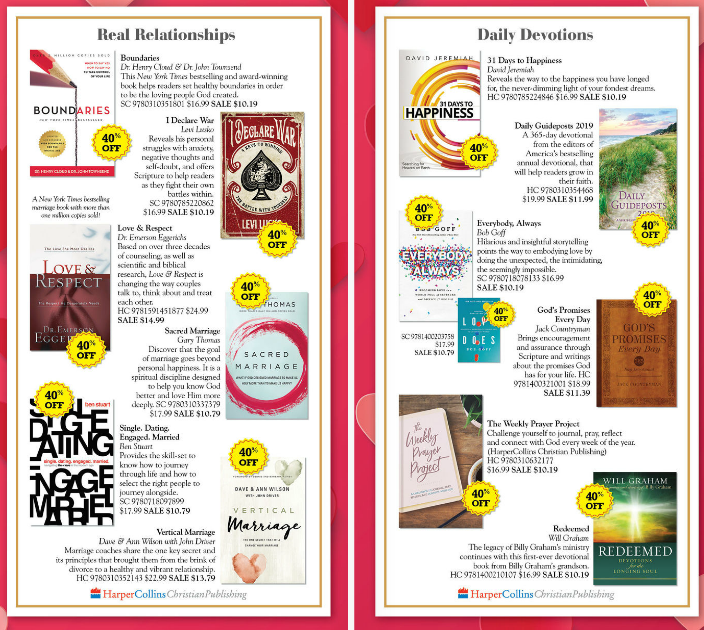 Click here for the February SHOPPABLE CATALOG! Begins Feb 1st! 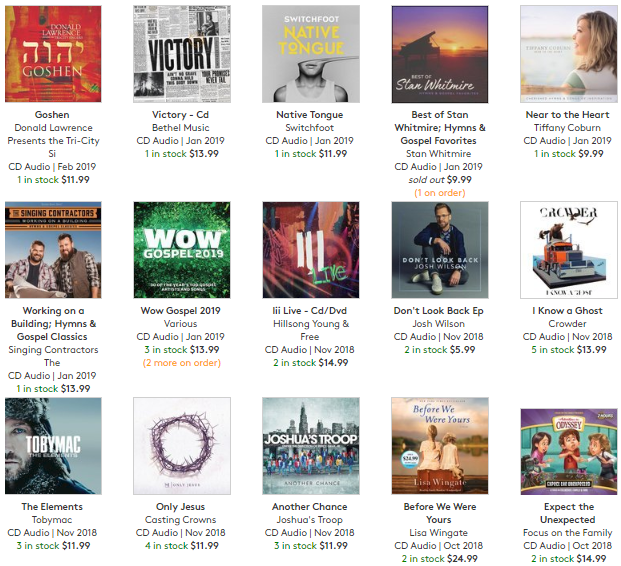 Select New Releases that we have brought into the store - normally at a discount for you. On March 2nd we will have author Christian Bohlen in the store. 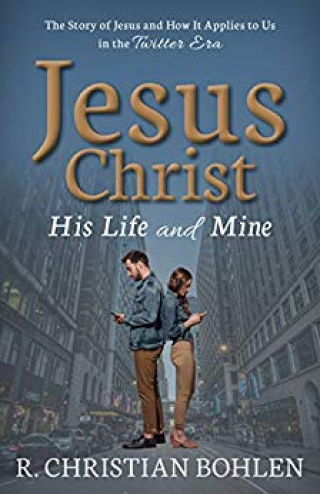 HIs book, Jesus Christ: His Life and Mine was twenty years in the making. It is a conversational read to guide you in a life of following the Master. You can check out his story and book here. We encourage you to stop by and check out his book - it just may change your life! In January we held a book fair at Light Christian Academy in Ocoee. The school earned over $200 worth of FREE books for their school library. At the end of January FIT Books exhibited at the ACSI Early Childhood Conference in Plant City. This was our first family exhibit (both Melissa and Cooper came along). This was a good time of building relationships and hopefully will lead to more book fairs and events to supplement the store's daily sales. In February we will be the bookstore for the Serve The City Conference hosted by Mosaic Church in Winter Garden. We recommend this conference for all Christians to be better exposed to the issues of justice, love and mercy and how we as believers can/should respond to the issues of our day. This is part of our mission statement at FIT Books - Equipping the Church - Engaging the Community! We will also be exhibiting at another Early Childhood Conference at the end of February. This time in Jacksonville. If you haven't been to our new website yet, you should check it out. We make adjustments and updates on a weekly basis. Check out our inventory, sales, specials and more online. You can even search for books by age group, topic, etc. We have also had some good success with a particular line of new wall art we brought in at Christmas time. They are nicely made, solid construction and are made by a small business owner. Ask about our new wall art next time you're in the store and we'll point them out to you. The renovations at the store due to Spectrum's move next door to us are mostly finished. The only thing left is some electrical work that needs to be re-connected. On our part, we still need to re-configure several areas of the store, reduce inventory in most areas of the store and figure out where to put some of the categories of merchandise we had to temporarily box up. We have been in business about 19 months now. We finished our first complete year - 2018 and are still going! And we have high hopes and expectations for 2019! While we haven't finished calculating all the numbers (and taxes are a month or so off), we can say that our sales for 2018 increased over 2017 for the months that we were in business in 2017 (August - December). This was expected since in 2017 we only had five months that we were open for business. Most months we were up over 20%, December was not as good as expected, we were only up about 10%. However, we are thankful that the number is going in the right direction - up! We are working very hard to not only get the word out but actually get out of the store to do events to spread the word. Every month Christian stores are closing but we believe that if we can get people to partner with us we can not only survive but thrive! Kevin (owner) will begin taking a paycheck of some kind this year (he has had no paycheck since we began this adventure) and we are working hard to make arrangements for Melissa (Kevin's wife) to join the team on a more permanent basis. Currently, she helps out when she is not teaching (Evans High School) which means vacations, summer break, weekends, etc. We realize we will most likely be taking a significant pay cut from her salary at Evans but we believe this is the right step to take, especially since there is too much work (especially administrative) for Kevin to do by himself and try to run the day-to-day operations of the store as well. Who can deny it? The world we live in is filled with tragedy on a daily - no, minute by minute - basis. In my own family's life, we've had numerous friends lose loved ones, have financial burdens, health burdens and more in the past few weeks. And then you've got the news - officers shot, people shot, government shut down, no money to pay the bills, hunger crisis and thousands of organizations clamoring for your dollars. What are you to do? Can I suggest two things - that's it, just two! 1. Start with your local church. Get involved, give, serve, go, love. 2. Put yourself in a place where God can open your eyes to both needs and opportunities to serve those needs in love. One such opportunity is happening on February 8-9 at Mosaic Church and is called Serve The City. There will be music, teaching (maybe some preaching), breakouts on different topics of justice, social issues, etc. as well as many organizations present to help you find ways to connect with opportunities to truly serve the needs of others in love. 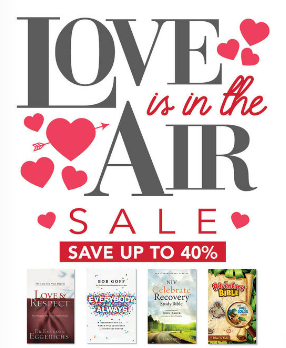 And we'll be there providing hundreds of books on the subject as well - books that will expose the need and books that will challenge you to engage the need - out of love! Join us on Feb. 8-9 at Mosaic for Serve The City. Click here and you will be taken to the Serve The City website for more information. 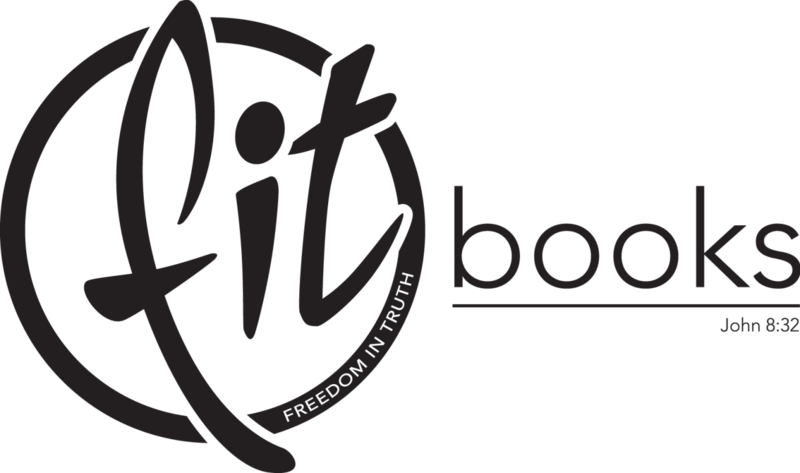 New Women's Bible Study - Grab a friend, a book, the DVD and get started today. Let God show you who you really are! About the Series: This four-session video Bible study series features a variety of speakers focusing on women from the Bible through dramatic vignettes, spoken word poetry, and traditional Bible teaching. You'll be exploring the lives of women in the Bible who asked the same three questions women still ask today. How does everyone see me? How do I see myself? and How does God see me? VBS is just around the corner - stop by and check out the new ROAR! VBS from Group Publishing. We have just received a couple pallets of new overstock from publishers. We pass these savings on to you at 50% or more off retail. Stop by FIT Books to check them out. New overstock arrives most months. Click to view current sales catalog in your web browser. Remember, we are a locally owned ministry/store that can only exist if we partner together. 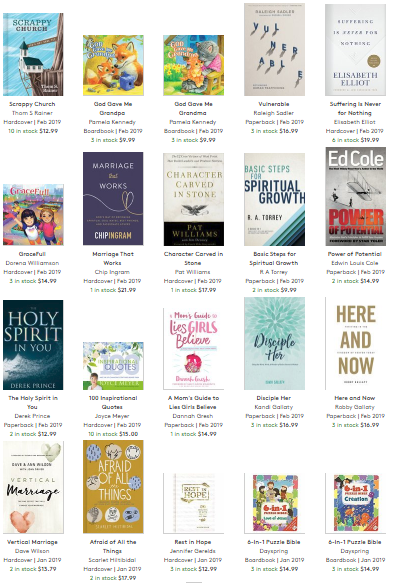 We promise to bring you great deals and sales, but more than that, we commit to helping educate and equip you for the work God is calling you to do. We love books. We know books. And we can connect you with a good book today! Your investment of $30/month will help keep us going! You received this email because you signed up on our website or made a purchase from us. If you no longer wish to receive emails click the Unsubscribe button below.